It's time to appreciate some blooms, especially this winter superstar. 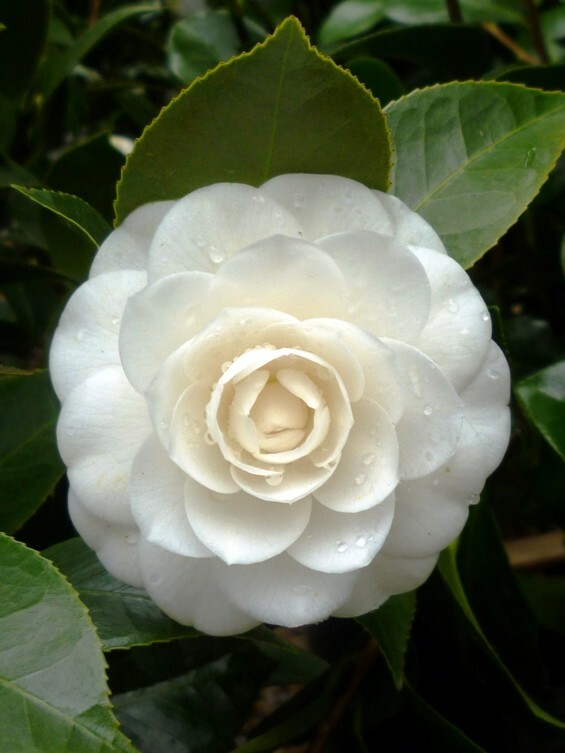 Brie "The Plant Lady" welcomes us into her world of lovely camellias in her latest Soil3 blog installment. As the winter days grow longer one plant in your landscape may be of particular interest. You may have guessed I am talking about the camellia, specifically Camellia japonica, the winter active broad-leaf evergreen that brightens a cold winter day. 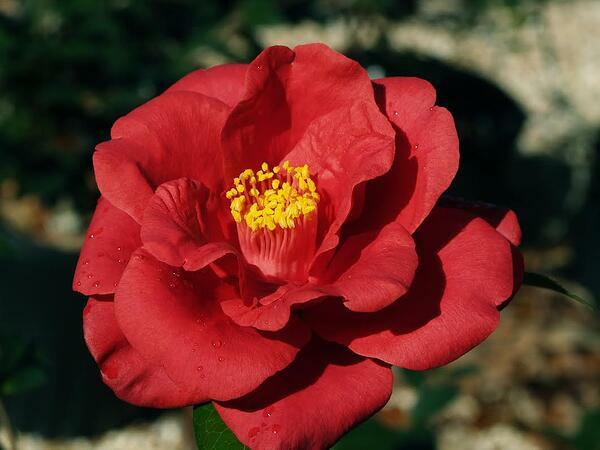 Winter blooming camellias have long been a symbol of Southern garden traditions. 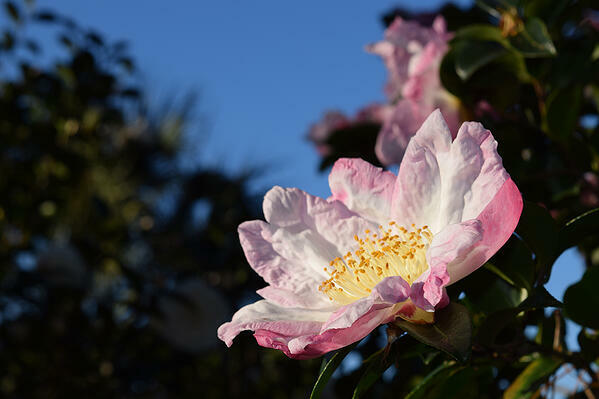 First introduced to the United States in the late 1700s you can find camellia trees growing in old homesteads and plantation properties throughout the southeastern region. Even in modern landscapes, camellias prove to be worthy specimens due to their lush evergreen foliage and intricate flowers that bloom through the cool season. 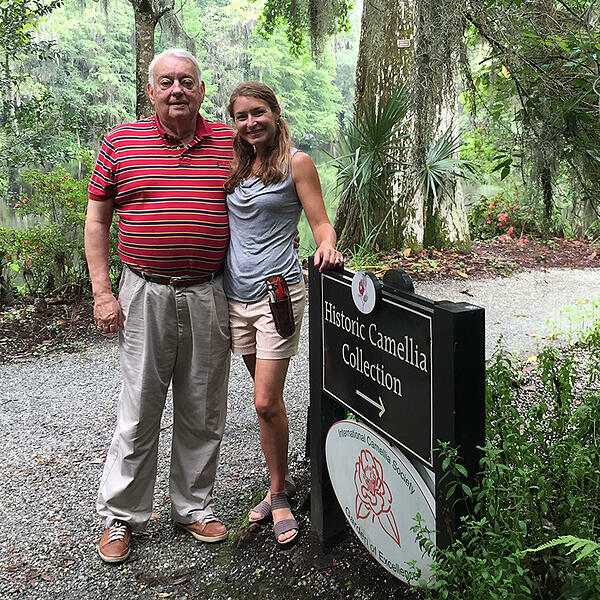 Here I am visiting with Miles Beach, camellia legend and retired director of Charleston's Magnolia Plantation and Gardens. As a former propagator and grower of camellias, my admiration runs deep. Though many people think of just 3 “types,” classified as red, pink or white, the reality is there are over 20,000 registered varieties! It can be hard to navigate when there are so many options, which is why I want to share insights from my experience as a camellia grower. 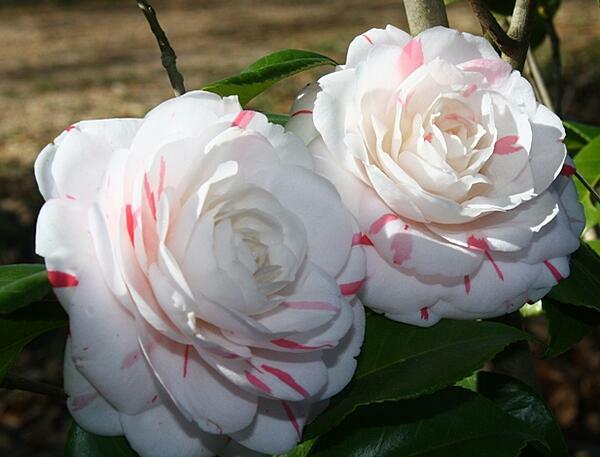 Camellias are well-suited for the southeastern climate of USDA Hardiness Zones 7-9. Providing evergreen screening and seasonal color, camellias are a fine candidate for residential and commercial landscapes. Keep in mind they will eventually grow into large shrubs or small trees. They are majestic plants when not pruned into “green meatballs” and will flower profusely, so space them at least 4 to 6 feet apart to allow for future growth. 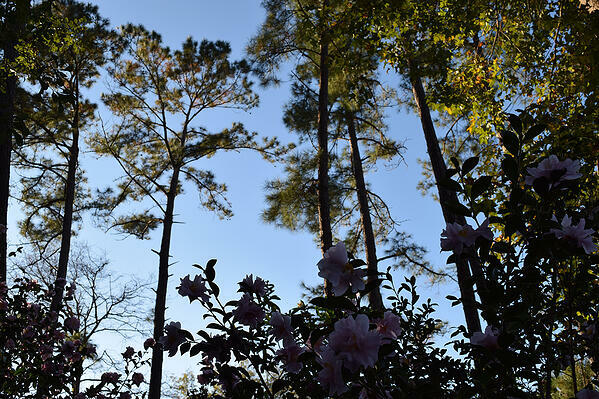 Camellias shrubs are growing tall in this lovely Southern garden. They prefer moist, well-drained, acidic soil and thrive under “high pine shade” which allows filtered light with overhead protection from wind. Camellias are very sensitive to “wet feet” so be sure to amend heavy clay soils with Soil3 compost to enable better drainage and aeration. In colder climates, like here in Raleigh, NC, protection from winter wind and sustained temperatures below 15°F is recommended. Sudden temperature drops can cause the buds to fall off, so site camellia plants in a location with some protection. Generally speaking, site your plants in WINTER SHADE and MORNING SUMMER SUN, or the north side of a south facing border. Camellias under high pine shade. Every landscape has micro-climates. 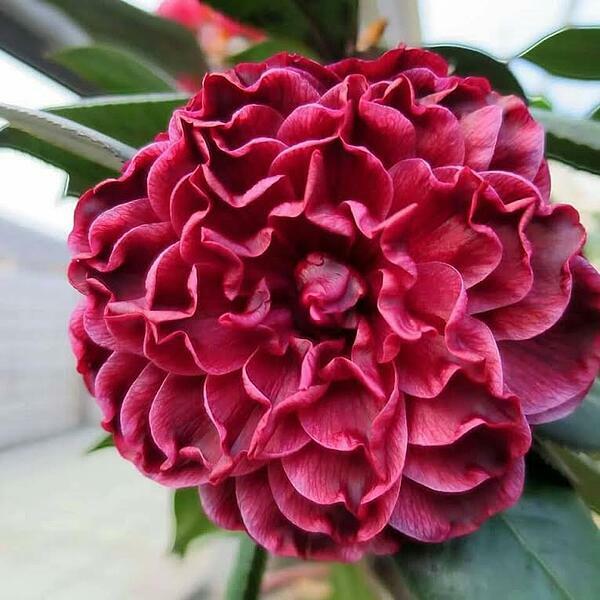 Look out for areas with extra protection or heat sinks, as the camellias will appreciate it. I have several planted near the dryer vent on the north side of my house. When it gets below 15°F I run the dryer through the night to help keep the plants from freezing! Yes, I am a crazy camellia lady! Since camellias bloom on “new wood,” pruning at the wrong season can result in removal of flowers. The ideal time to shape is after the blooming season ends. Flower buds develop in the summer on new growth. This is why I made the snarky comment about “green meat balls”. Most plants do not need to be sheared to an inch of their lives, and Camellias are at the top of that list. Prune by hand and make intentional cuts to enhance the overall structure of the plant. Put the machinery away and enjoy the beautiful form of this graceful plant! 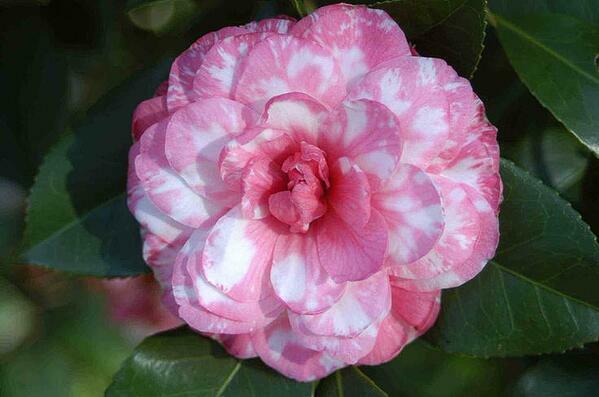 Once established, camellias will not require supplemental irrigation, unless in extreme drought. I recommend applying Holly-tone, an organic formula for acid loving plants in spring and fall to ensure balanced fertility. Camellia plants have a beautiful form that don't need to be pruned into "green meatball." One of the biggest challenges with growing camellias is scale, a soft bodied insect that lives on the underside of the leaves. Though granular systemic pesticides are effective in controlling scale, you can also apply horticultural oil or “dormant oil” which will effectively smother the insect without impacting other pollinators. Protect from grazers by caging and spraying plants with repellent. Unfortunately camellia buds have become a favorite snack for deer. I can say first hand it is heartbreaking to anticipate a flower only for it to be eaten hours before it opens. I spray I Must Garden deer repellent on my camellias after every rain through the winter to help prevent this. Narrowing down my favorite Camellia japonica cultivars is a big task because there are so many beautiful selections. We talked a little bit about some of my favorites in the winter color blog post. When evaluating it is important to consider all of the attributes, not just flower form and color. 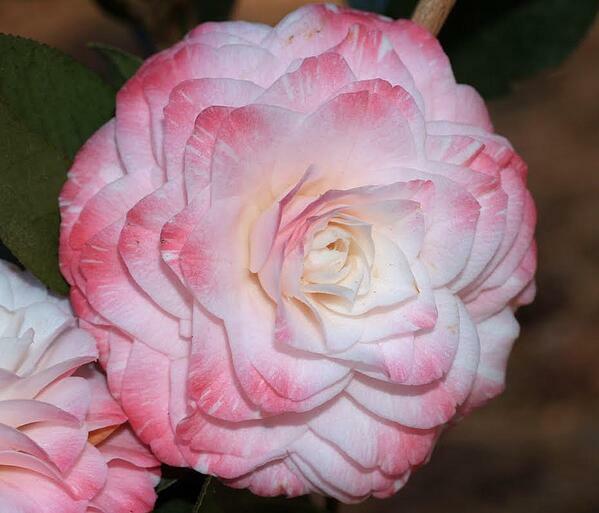 The overall growth habit and foliage quality are also factors in selecting the perfect camellia. 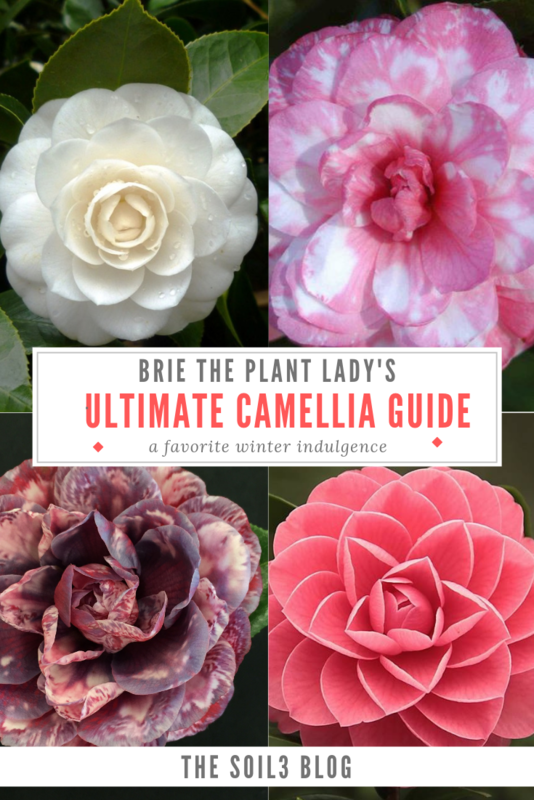 To learn more and purchase check out The Camellia Shop. There are hundreds of plants that thrive in the same conditions as camellias, including hydrangeas, gardenias, tea olives, hollies, loropetalum and azaleas – all the classic Southern bushes we know and love. But did you know that you can grow food crops with your camellias? Yes, it’s true, you can foodscape anywhere!  Attend my foodscaping class at the Soil3 Garden Show on March 30th. I captured a shot of this stunning camellia while attending a camellia show. 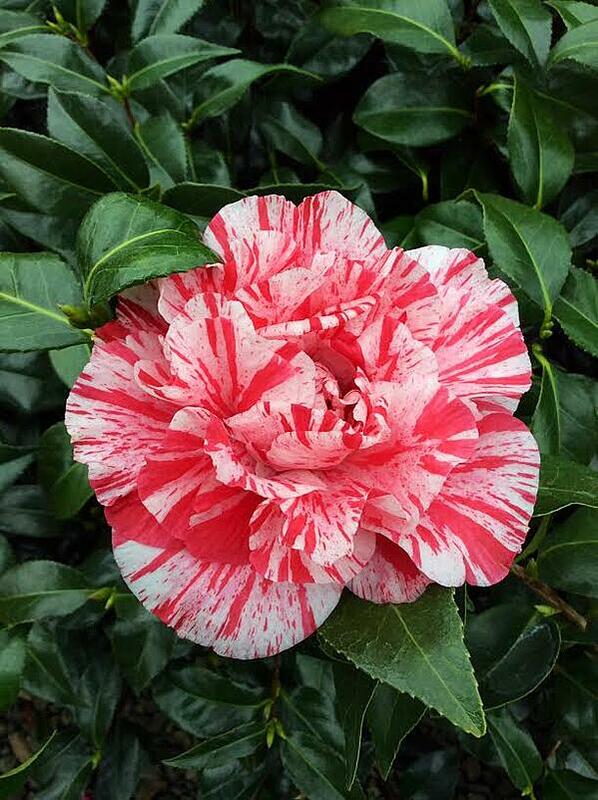 To really discover the endless beauty of camellias I recommend attending a flower show. 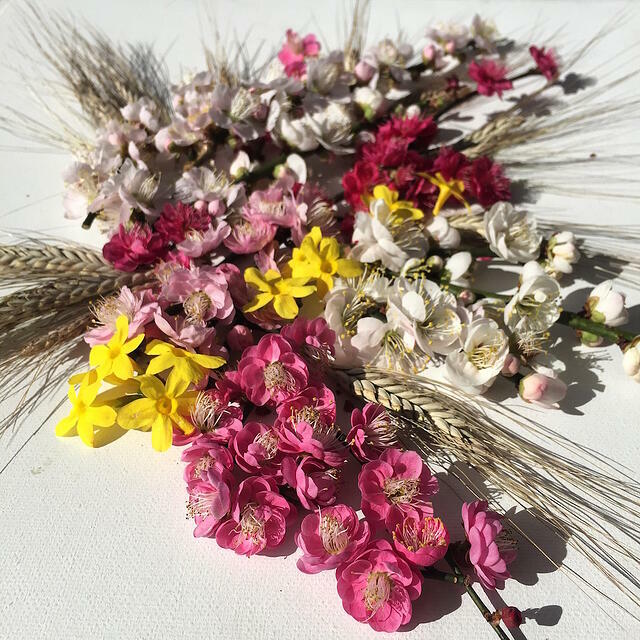 This will provide an opportunity to view thousands of perfect flowers and learn from expert growers. 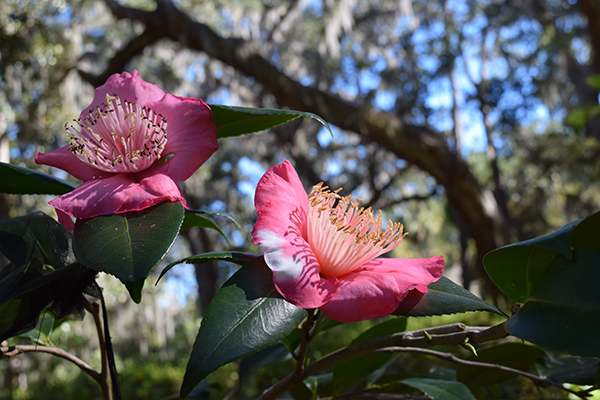 The annual Camellia Festival organized by the Coastal Georgia Camellia Society will be held February 22-24, 2019, at the Coastal Georgia Botanical Gardens in Savannah, GA. I have always been curious about the origins of plants, and camellias are no exception, considering “tea” as part of this genus history. The story of this Asian native plant starts, as legends has it, in 2737 BC with Chinese Emperor Shen Nung. One day, as his servant was boiling water to drink, leaves blew in from a tree overhead. A renowned herbalist, the emperor took a chance and sampled the infusion. What he experienced was the first recorded caffeine buzz in human history. It would take centuries for Europeans to discover tea, but eventually the Dutch East India Company popularized the drink, and by 1750 tea was the drink of choice by the masses and remains, second only to water, as the world’s most popular beverage. Tea trade was responsible for extensive disruption in the form of taxes, smuggling, and economic instability. Wars were fought, opium was used as a trading equivalent, and politics and cultures were changed as the world grew addicted to tea. 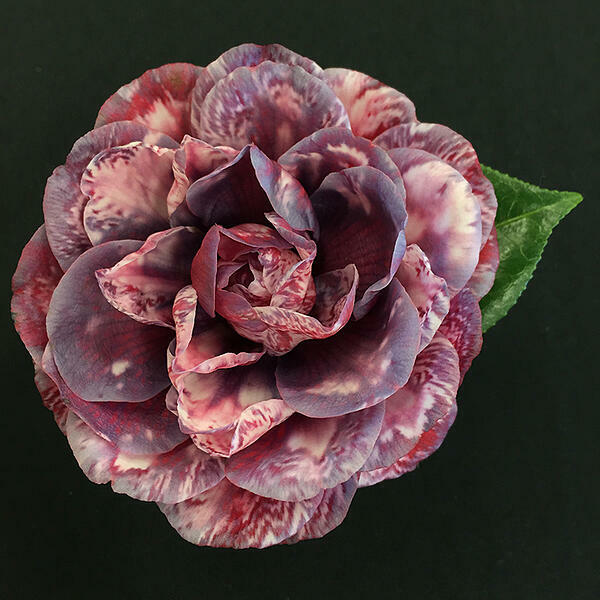 It is particularly interesting to learn about how ornamental camellias were distributed across the globe. You see, it was all a trick by Chinese officials who were concerned over the establishment of tea plantations in new lands. Instead, they shipped thousands of seed from the ornamental species Camellia japonica and Camellia sasanqua to thwart efforts. 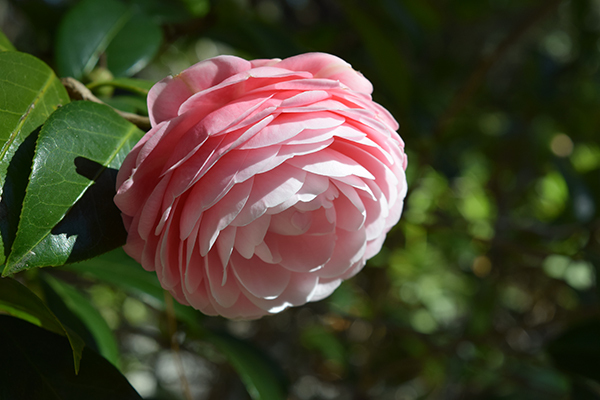 The Japanese popularized ornamental camellias starting around 1200 BC. The branches symbolize longevity and faithfulness, and plants were cultivated widely. In particular Higo camellias, which resemble the flower of Prunus mume, were cultivated in the age of Samurais from 905 AD – 1800. Considered to be “not a plant, not a flower, the Higo is an emotion," the unique flowers have a single ring of petals dominated by large pollen rich stamens. The name Higo refers to the ancient homeland, now called Kumamoto situated in the southwestern tip of Japan. The plants were tended for generations out of respect for their ancestors and were planted graveside as a form of respect. There are more than 300 varieties of Higo camellias in cultivation today, each with a unique history dating back over a thousand years. 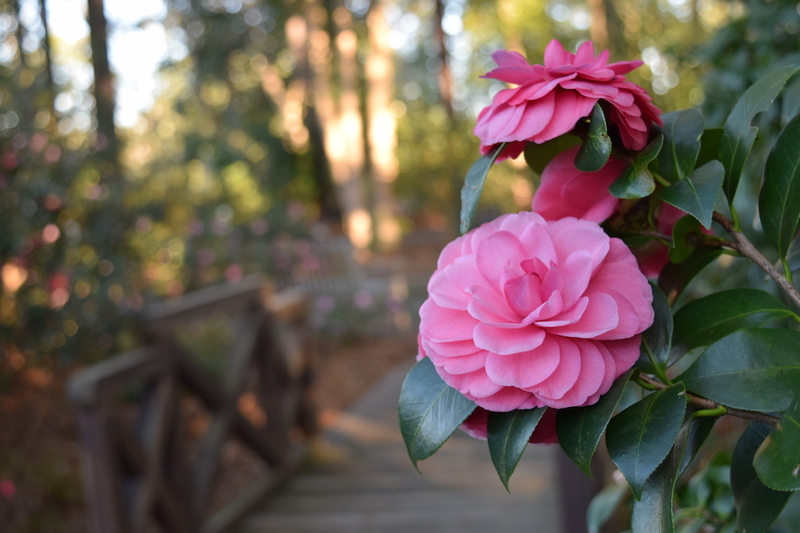 Delve deeply into the history of camellias and their journey to the American South, continue reading about their cultural significance in this article I wrote for Triangle Gardener magazine. 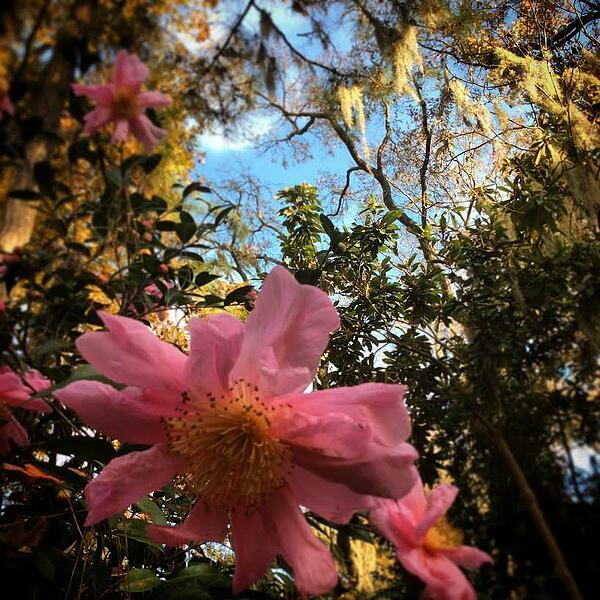 To learn more about heritage camellias, plan a visit to Magnolia Plantation in Charleston, SC, during the bloom season of November through March. Known internationally as “America’s Romantic Garden,” Magnolia has over 20,000 Camellias planted on the sprawling grounds. I hope you enjoyed this look into one of my favorite plants! Have you ever grown camellias before? What challenges do you face with your own plants. Comment below with all of your camellia questions!